It is a non-profit summer camp and retreat center managed by the Episcopal Diocese of Western Louisiana that has been serving Louisiana for over 70 years. Camp is located in the piney woods of Pollock, LA about 30 miles north of Alexandria. How old do kids have to be to attend summer camp? Our First Camp session is for children entering the 2nd and 3rd grade along with their parents. Sr. High is for campers entering the 11th and 12th grade, along with recently graduated seniors. … and everyone else in between. 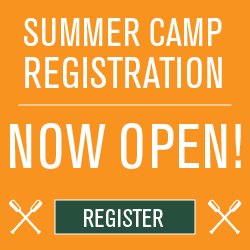 Do you offer any financial assistance for kids to attend summer camp? Yes, we do offer a limited number of scholarships each summer to campers in need on a case-by-case basis. Does I have to be Episcopalian to go to summer camp, be on the permanent staff, or volunteer? No, all Christians are welcome. Do I have to be a CIT first to get hired on Permanent Staff later? No, but it doesn’t hurt to get a peek behind the curtain. Can I have my wedding, family reunion, or other private event at Camp Hardtner? Absolutely, as long as it’s not during summer camp! If you have any other questions, please don’t hesitate to give us a call at 318.765.3794 or fill out one of our contact forms for more information.